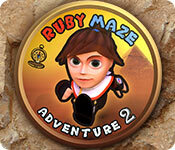 Ruby Maze Adventure 2 is rated 4.3 out of 5 by 19. Rated 5 out of 5 by Deeisme from Ruby Is Wonderful! This is a fun and cute game for all ages! The little girl looks so cute as she runs through the sand...It is so cute to see her pony tail flop back and forth. I, always turn the music off of all my other games, but with this game, I turn sounds and music, way up. I wish I knew the name of the music that is playing. This game reminds me of the old fashion Maze games, that I use to play, in many books, when I was a child. You run around collecting gems and gold coins, trying to find which way to go next. Watch out, though because there are many traps that you can fall through, if you are not fast enough. All your coins and gems are good for is covering up the traps. Beware, though...sometimes falling through some of the traps can show you the way to go or give you some items that you may need later on, like the golden staff. Rated 5 out of 5 by Kikime from EvenFallingWasFun!!!It'sHowYouPlayTheGame. I like (most) all of the Egyptian theme games, so I had to try this one.The path is deadly and the beautiful Ruby must watch her every footfall. The path to the royal treasures she seeks in order to make offering to the monolithic living deity Anubis is not for the incautious. Squares of floor fall out from under her, shutter, act as elevator shafts, and gape open before her. Walls circulate when she steps onto sensors. Ruby might fall and lode a small amount of her health, but don't feel off, because it can be the only way to get one pf those lucky power dots, optional until you fall, but the mountain is filled with them. It's all good. I really enjoy the visual and quality. The pictures are creatively stunning and pleasant to look at even constantly. There is a lot of sand stone and black pits and prizes, money, and gems, but there are also evocative moments, like when you have found all the pieces of the picture on the wall of the tomb and all of several gems in a set and are offering up the key you've earned to someone very tall and dark and handsome! The mini-games are also awesome(!) They are not all the same and they vary in level. 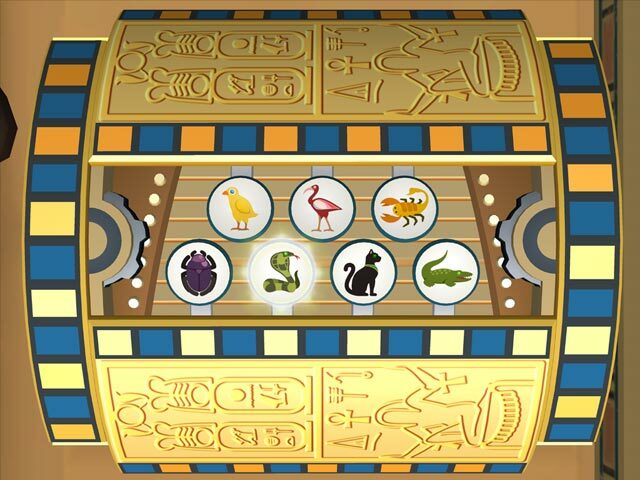 The pictures in the shell-game / memory matching have clean lines, jewel-like hues, and authentic ancient Egypt flavour. They start out all simple matching, but I have worked up to other games! I am still playing my first game.So, you never know. I could be trapped in the cavern for all time. Still, I recommend this game. It is a not bad place to get lost in. I think it may even be good for the mind. Let alone the soul. Rated 5 out of 5 by fantastillion from amazing maze! This game surprised me and I love it! The graphic is sweet and the challenge coming through the maze, gathering the coins and diamonds are not as easy as you may think! Sometimes you have to find peaces of a puzzle, that you can pass the guard! I just played the demo-version and I will buy it!!!!! Rated 5 out of 5 by sua_rider from Its got this fish totally hooked I love it. It is a bit old school, but some of the best games were made back then. Frustrating at times when I fall through the trap door, and lose precious gold. But I am hooked, so nice to play something different for a change. Only gripe is can't have multiple players. Rated 5 out of 5 by Innovativemom from Loved It, Something Totally Different I loved this game. It was a nice change of pace from the games I normally play. I don't bother with stories or sound so I can't say yea or nay on these but the game itself was a blast. It's the kind of game I like to play for 30 to 45 minutes. I get bored with more than that. The game play can be a bit repetitive but by limiting the length of my playing time it will stay interesting for quite a while. Some complained about constantly falling through. I'm not saying you won't ever fall through but if you will be ready the second you hit a 'fall through square', immediately without pause hit the next square you're going to. Sometimes that will be the square ahead of you and sometimes it will be the square you were just on. If you do this it will cut your falls down to just a few and you will get less frustrated and discouraged. It is a buy for me. At least give it a chance with a trial run. Rated 5 out of 5 by zandu2 from Wonderful fun What a wonderful game and i absolutely enjoy it. The floors will open but wait till it closes and go for it.. Thanks for that Big Fish. I totally recommend that you give it a try. Rated 5 out of 5 by Karavan from Such an entertaining game I am really enjoying this game. It is both stimulating and relaxing. I get a kick out of the character shaking it off when she falls. What a brave girl! Nice change from HOG and TM games. Rated 5 out of 5 by Stephen0118 from Rally fun game after all I must admit that when I first played the trial, I was kind of bored so I deleted it. Then, I came back to it and I really do enjoy it now. 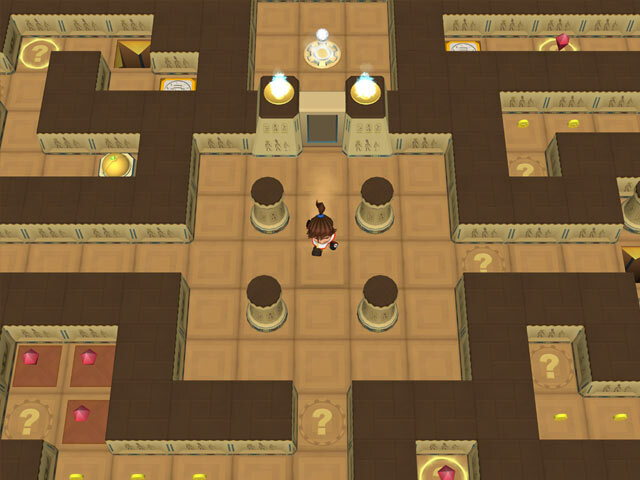 You play Ruby and you have to go through multiple mazes to collect items which will let you get the ultimate prize. A couple of things to note (hints or spoilers if you want to call them that): 1. The question mark with the circle reconfigures the maze. 2. There are two types of trap doors. The yellow ones will open and close automatically, so be careful. The brown ones will activate only when you step on them, but, unless you are slow, you can get through them. Like other reviewers said, if you do drop through the trap doors, you do lose coins but, on the other hand, you sometimes get dropped to a room you've never been before, so you can collect coins. Overall, it's a pretty fun game. Rated 5 out of 5 by gskremser from Fun and worth getting! I highly recommend this game (especially if you're into arcade games)! I don't usually care much for arcade-type games, but this one has definitely caught my attention and interest and I have no problem recommending it to others! 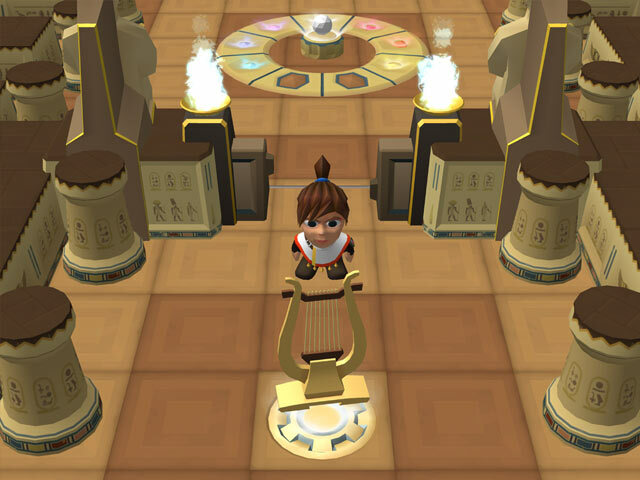 Rated 5 out of 5 by gryhndlvr from Different kind of fun I bought this game right away, it is a refreshing maze game. You have to collect gems and coins and artifacts. I haven't quite figured it all out but I am having so much fun with it. Beware of the traps. Timing is everything. There is no story and that is fine by me , just try to make it to the end of the maze. Gameplay is almost like a glorified PacMan game, just more stages and more fun. Remember where you have already been and where you need to go is not so easy, but I truly enjoy it. Refreshing new game. I'm tired of the same old same old. Nice change.